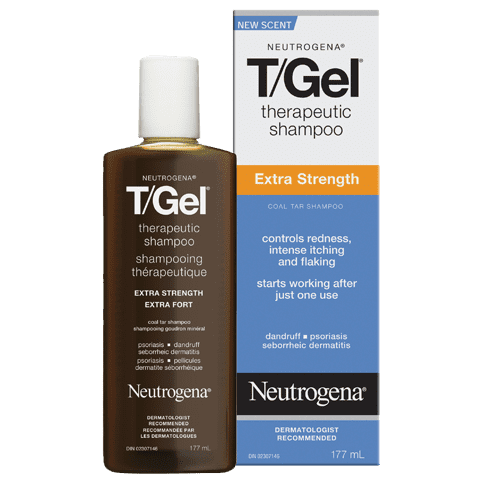 NEUTROGENA® T/GEL® Therapeutic Shampoo Original is clinically proven to help control itching and flaking symptomatic of scalp psoriasis, seborrheic dermatitis and even common dandruff. The rich lather of T/GEL® Therapeutic Shampoo Original gently cleanses, leaving hair looking healthy, lustrous and manageable…even with everyday use*. Non-medicinal Ingredients Citric Acid, Cocamide MEA, Cocamidopropyl Betaine, DMDM Hydantoin, Laureth-4, Parfum, Polysorbate 20, Sodium Chloride, Sodium Laureth Sulfate, Tetrasodium EDTA, Water (eau). Got 80% reduction in hair fall and dandruff after FIRST wash. I have long and heavy waist length hair and I was unable to figure out the reason for my hair fall since last one year. There was NO visible dandruff at all. I went for a hair treatment to the saloon and they said, "when you rub your scalp you can see visible dandruff". For once I got the dandruff treatment from the saloon but it didn't help as after I washed my hair at home it was the exact same amount of hair fall. 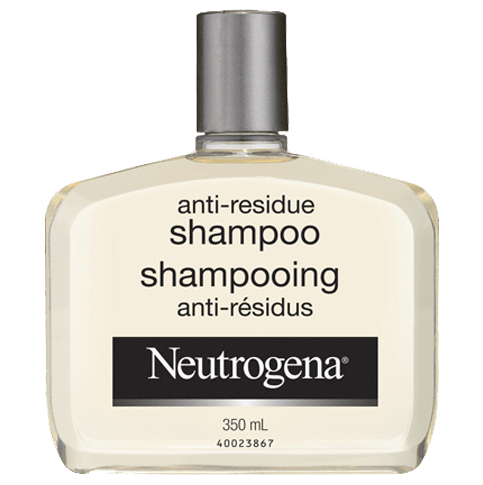 I went to the drugstore and they recommended me a very expensive shampoo but with my choice I picked Neutrogena. And I can't be more happy with using this product. Thanks Neutrogena!! Noticeable difference after one use! I've always struggled with dandruff in the winter... This past season has been the worst case I've experienced (which may be attributed to the cold Ontario winter, and the change in water in my new house...). But the point is, after one use, the itching subsided, the flakes were noticeably fewer, and I felt normal! My hair (which is coloured to cover those pesky greys) was shiny, and after a month of once weekly use, my colour has not been impacted by the T Gel shampoo. After several weekly uses, I can say that this is the best addition to my hair care routine. It does have a medicinal smell, but given that I use my salon brand conditioners (that smell amazing), I don't find it's overly problematic or noticeable. 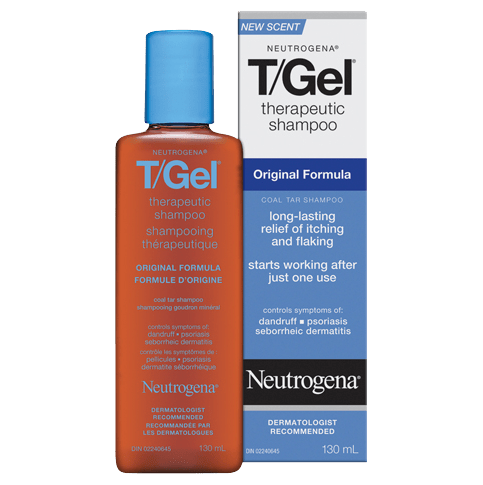 i had dandruff for years, this product was the end of it..I used every other product out there, nothing worked but the T Gel...I definitely recommend it. Give it a try!! It has a strong smell but it does go away. The smell won't matter when you get the results you want! It does what it says, but the smell is so off putting that it made me gag. Even if it worked to control my psoriasis, I just couldn't continue using it b/c of the smell. I used this when I developed some nasty dandruff in the winter, and BAM it just worked like a ninja. I can't say that the smell of it was great, but you don't have to use this very long before everything is cleared up. I now use it as a preventative shampoo once every week or so. LOVE this stuff.